Antibacterial soaps are all over the market, but should they be? 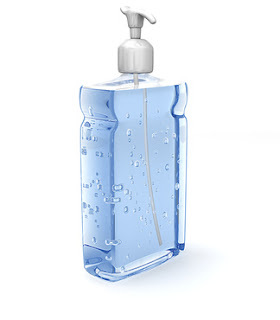 As it turns out, an ingredient found in most of them — a chemical called triclosan — may be bad for your health. What if a dietary supplement had been proven to cause liver damage, liver failure, and death? What if each year this same supplement caused 100,000 calls to poison control centers, 56,000 emergency room visits, 26,000 hospitalizations, and more than 450 deaths from liver failure alone? You can read about some of these risks in the product information that accompanies over-the-counter medicines. For example, the acetaminophen package insert warns about taking the drug if you consume three or more alcoholic drinks a day. The link between acetaminophen, alcohol, and an increased risk of liver damage was identified in the 1980s. This research identified another factor that can increase the risks associated with acetaminophen: fasting. This can refer to fasting due to abdominal upset or pain, nausea, vomiting, loss of appetite, anorexia, or malnutrition. 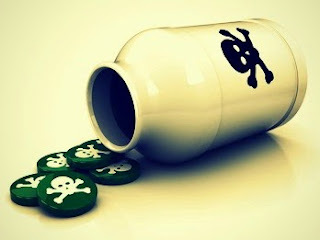 But most people assume the dangerous side effects occur when the drugs are abused or accidently misused. That’s not always the case. A 25-year-old, previously healthy, Swedish man developed gastroenteritis while on holiday in Turkey. For a day and a half, before flying home, the man experienced nausea and vomiting, and he was unable to keep food or liquid down. When he arrived, after the long flight home, he was taken directly to a hospital. As his condition worsened, he was diagnosed with liver failure and transferred to await a liver transplant. What had the Swedish man done wrong to develop liver failure? Nothing! 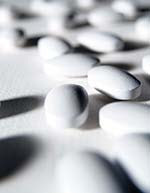 He took acetaminophen merely to ease abdominal pain, as do thousands of people each day. He followed the rules but nearly died. Yet today, despite this report and many others, acetaminophen products do not list a warning advising people against using the drug when they are unable to eat. In order to remove the toxin, liver cells conjugate it with glutathione. This detoxifies NAPQI and allows it to be safely removed from the body. But here’s the problem: Glutathione levels quickly become depleted in the process, especially during periods of fasting — like when you’re sick. NAPQI levels rise and liver injury ensues. Given the potential risks of overusing acetaminophen, it is wise to use it sparingly, if at all. Those who have to take acetaminophen need to be aware of the factors that can increase the risks. These include taking acetaminophen while having three or more alcohol drinks a day, using multiple acetaminophen-containing products, or taking acetaminophen when you are unable to eat. Be sure to carefully read the label of any over-the-counter medication. If you are taking more than one medication, make sure that only one contains acetaminophen. Read the warnings. Stay within the recommended doses of acetaminophen. Over-medicating by even small amounts raises acetaminophen’s risks. Of course, it naturally follows that supplementing with glutathione-boosting nutrients like N-acetyl-cysteine can help, along with liver supporting nutrients like milk thistle. Here are some frequently prescribed medications that contain acetaminophen. This list is not exhaustive; there are many other prescription drugs and scores of over-the-counter remedies that contain acetaminophen. If your doctor prescribes a drug for pain, headache or muscle tension, ask your doctor or pharmacist whether it contains acetaminophen. J Intern Med. 1992 May;231(5):567-70. Pharmacoepidemiol Drug Saf. 2006 Jun;15(6):398-405. Proc Natl Acad Sci U S A. 1984 March; 81(5): 1327–1331. Pharmacognosy Res. 2011 Oct-Dec; 3(4): 250–255. If I'm to believe the TV commercial I just watched, high fructose corn syrup (HFCS) is totally safe to consume in moderate amounts. Of course, this is according to the Corn Refiners Association which paid big money for the ad. Now I'm not all that cynical by nature, but since the Corn Refiners Association certainly seems to have a vested interest in protecting its product, I think it might be best for us to investigate the safety of HFCS for ourselves. Let's do it. High fructose corn syrup is produced when corn syrup goes through enzymatic processing to convert some of its glucose into fructose in order to make it taste sweeter. In the United States, consumer foods and products often use high fructose corn syrup as a sweetener. It's become absurdly common in processed foods and beverages including breads, cereals, breakfast bars, energy bars, candies, lunch meats, dairy products, canned foods, and, well ... pretty much everything. 1. HFCS 42 — The more common of the two, this is a blend of 42% fructose and 53% glucose. The rest is water. It’s found in pre-packaged foods, canned foods and baked items. 2. HFCS 55 — This syrup is composed of 55% fructose and 42% glucose. The rest is water. HFCS 55 is used mostly in soda and flavored drinks. The CDC is not saying that this is a cause-effect relationship. As we all know, there are many factors that contribute to obesity. However, they are citing HFCS as a contributor to obesity. So what else can be linked to HFCS consumption? Keep on reading to find out. With changes in lipid profiles and an increased risk for heart disease, it seems pretty clear that fructose ingestion is a contributor to plaque buildup and narrowing of the blood vessels — a ticking time bomb for the development of both strokes and heart attacks. Please note: fructose is a natural sugar found in fruit. But the amount of fructose in fruit is far less than in HFCS and has far less of an impact on lipid profiles. 1. Benfotiamine — a form of vitamin B1 that blocks three of the major pathways in which sugar causes damage.11 We suggest 100 to 400 mg/day. Remember, no matter how creative the Corn Refiners Association gets with its branding efforts, HFCS is not something that you should be eating regularly, if at all. 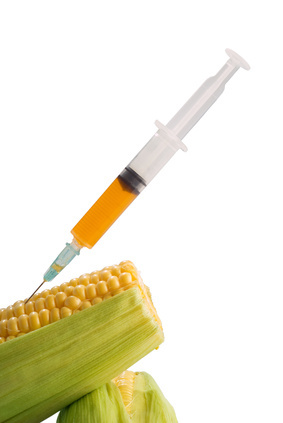 Despite what those bright and creative ads are trying to tell you, "corn sugar," a.k.a. high fructose corn syrup, is NOT the same as glucose or regular sugar. As a matter of fact, processed fructose is even worse for us that we previously thought. No amount of clever branding is going to change that. Our advice? Be proactive about your health and avoid HFCS at all costs. What do you think about HFCS infiltrating our food choices? Share your take in the comments below. Nutr Metab (Lond). 2005 Feb 21;2(1):5. Am J Clin Nutr. 2002 Nov;76(5):911-22. Front Biosci. 2003 Jan 1;8:d464-76. Clin Transl Sci. 2011 Aug;4(4):243-52. Curr Opin Gastroenterol. 2008 Mar;24(2):204-9. Curr Opin Rheumatol. 2011 Mar;23(2):192-202. Diabetes Obes Metab. 2007 May;9(3):233-45. Altern Med Rev. 2006 Sep;11(3):238-42. FEBS Lett. 2007 Mar 6;581(5):1067-70. Ann N Y Acad Sci. 2008 Apr;1126:288-90. These days, it’s tough to find full agreement about what’s healthy and what’s not. Fortunately, most of us can agree on at least one thing - kale is good for you. More than just a health fad, kale has earned its healthy reputation for several reasons. In this post, we’ll dig into some of the most compelling health benefits that kale has to offer. Our goal? To inspire you to start including it in your diet regularly. Don’t let the appearance of kale fool you. It looks a heck of a lot like lettuce, but it’s actually a cruciferous vegetable. In part, the cancer fighting properties they offer come from their glucosinolates,2 which are compounds that give them their bitter taste and pungent smell. Kale is considered one of the most nutrient-dense foods on the planet, due to its rich concentration of fiber, vitamins, minerals, and antioxidants. Kale is often hailed as a detoxifying food, and it’s for good reason. When it’s chewed or mechanically processed, a chemical reaction occurs that turns certain glucosinolates into sulforaphane. If you don’t like the idea of kale juice, just eat it steamed instead. Either way, its cholesterol managing properties14 will stay intact. Kale is also a rich source of lutein and zeaxanthin.9 These antioxidants are naturally found in the eye where they protect against harmful UV rays. 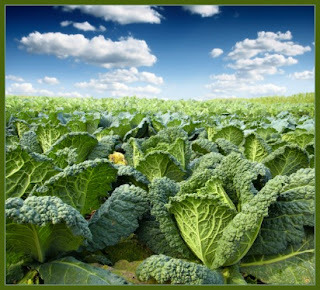 A single serving of kale provides about 91 mg of calcium,9 which is about 10% of your daily needs. This is good news for vegans and anyone who purposely avoids milk. There is a common misconception that calcium in green vegetables is poorly absorbed. This may be true in some cases, but not for kale. Once in a while, it’s fun to experiment a little with healthy foods. Here’s an excellent kale chips recipe, courtesy of OregonLive. It makes for a great potato chip substitute – give it a try! Heat the oven to 200 degrees. Wash the kale and dry it in a salad spinner. Lay out a few clean tea towels and thoroughly pat the leaves dry. Put the kale in a large bowl and then drizzle the pile with one tablespoon of the olive oil. Lay the slicked-up leaves one by one on the empty baking sheet so that they don't overlap. Bake in a 200 degree oven for 30 minutes. Rotate the pans from top to bottom and bake another 30 minutes. For good measure, turn off the oven and leave the pans in for another hour. If they are still soft after all this, just turn the oven back to 200 degrees and dry them out for another 15 minutes or so. Available at: http://www.cancer.gov/cancertopics/factsheet/diet/cruciferous-vegetables. Accessed October 20,2012. Trends Mol Med. 2012 Jun;18(6):337-47. Available at: http://www.drfuhrman.com/library/andi-food-scores.aspx. Accessed October 20, 2012. Acta Sci Pol Technol Aliment. 2012 Jul-Sep;11(3):239-48. Plant Cell Rep. 2012 Feb;31(2):281-9. J Food Sci. 2011 Mar;76(2):H31-7. Mini Rev Med Chem. 2011 Apr;11(4):298-344. Available at: http://nutritiondata.self.com/facts/vegetables-and-vegetable-products/2461/2 Accessed October 20, 2012. Acta Ophthalmol. 2012 Jan 23. doi: 10.1111/j.1755-3768.2011.02357. Ophthalmic Res. 2010;44(3):166-72. Epub 2010 Sep 9. Am J Clin Nutr. 1990 Apr;51(4):656-7.